A win would take us into the top half of the table!!!! Far more important what is happening off the pitch at the moment. I hope our talk of off-field issues isn't adding to the air of gloom. I guess people may find it hard work at times. None of us really knows what's going on. But at least there's a group of fans putting in effort and time through TUST. That has to be good news rather than bad. Interesting times up the road where the Bath City Supporters Society (a supporters' trust) is seeking £1.4m to take the club forward. They're going down the community share path as well. That's a big ask. A wealthier city, of course, but one where football plays second fiddle to rugby. Creditors need to be paid off; there may even be a chunky purchase price. TUST may find itself in a rather more favourable starting place by comparison. Good luck to the BIg Bath City Bid; it'll be worth following. A win would see us leapfrog Lincoln into the top half of the table!!!! Two wins on the bounce, clean sheets, what is going on??! Just not what we are used too! 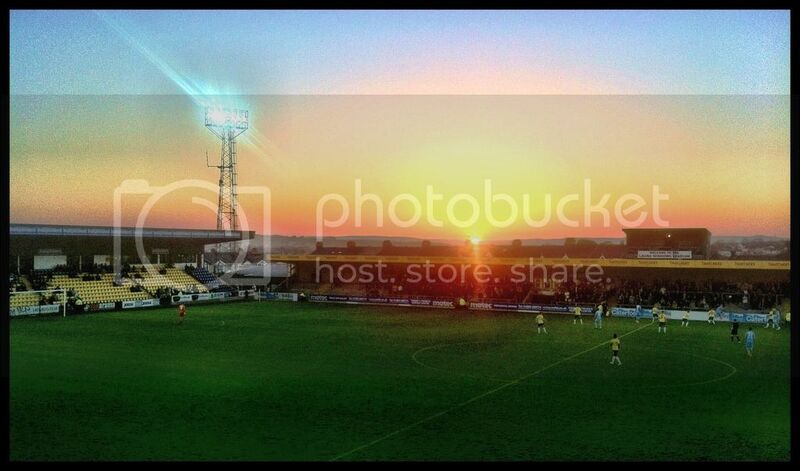 And with Angus signing a new deal, this has been one of the brighter days in recent weeks at Plainmoor.